Mohammad Manjural (sometimes Monjural) Islam (born November 7, 1979) is a Bangladeshi cricketer who played in 17 Tests and 34 ODIs from 1999 to 2004. He is a left-arm seam bowler who pitches the ball outside off-stump. Manjural Islam made his Test debut in April 2001, against Zimbabwe at Bulawayo where he took his best innings figures of 6 for 81. 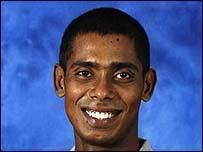 He represented Bangladesh in both the 1999 and the 2003 World Cups. In 2009 he was one of a number of players who decided to leave Bangladeshi domestic cricket in order to participate in the unsanctioned Indian Cricket League as part of the squad for the new Dhaka Warriors side, for which he was banned from playing in official cricket matches in Bangladesh for 10 years by the Bangladesh Cricket Board.